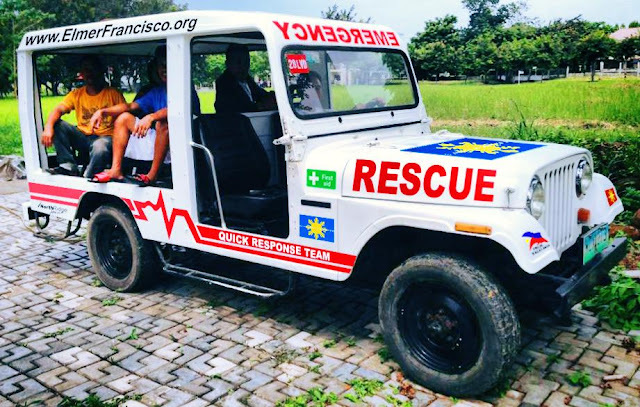 ElmerFrancisco.org Quick Response Team (QRT) Rescue vehicle is good to go! Many thanks to Edu Agudo of Autoworks, Reece Recabo of Reece Autoparts and Amorsolo Bantilan of North Ridge AdWorkz for the assistance! ElmerFrancisco.org Quick Response Team or simply QRT. 6 pcs. - Elastic Bangage 2"